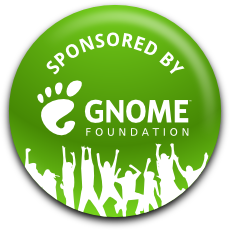 The GNOME Foundation is the formal organisation that brings together artists, coders, designers, every GNOME contributor. 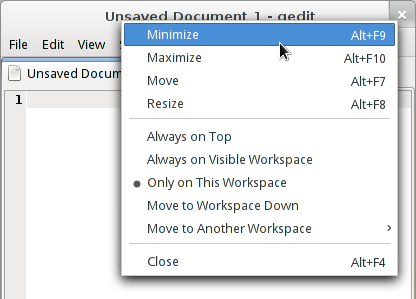 It’s goal is to provide GNOME with the necessary means to achieve its mission of delivering software freedom by building an awesome desktop. 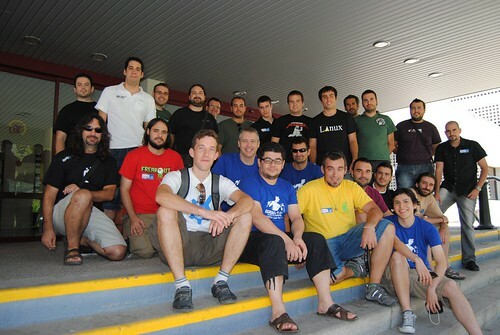 Every year the GNOME Foundation gathers its membership on its Annual General Meeting (AGM) where the different teams of the project share their progress and plans. Also, the new Board of Directors —the guys running the Foundation— is welcomed and the old one is thanked for their hard work. 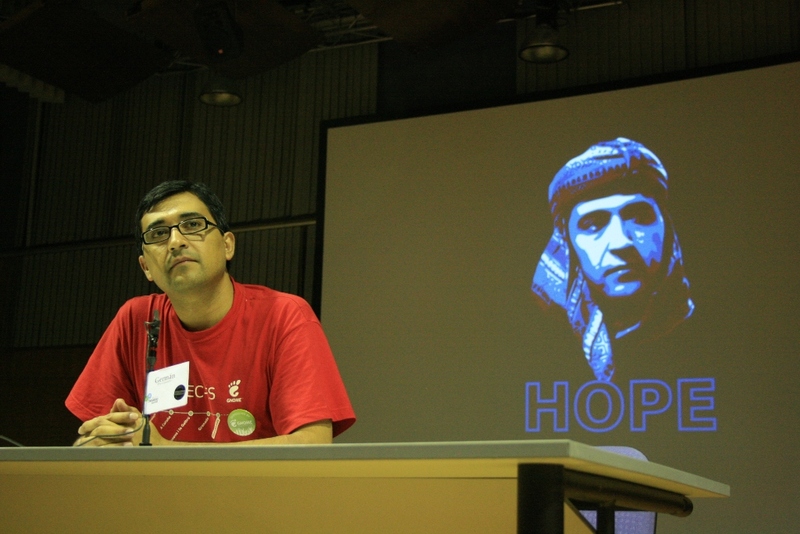 If you care about GNOME you are welcome at the meeting, no matter if you are not a Foundation member. The Annual General Meeting is today at 4PM in the Fritz-Reuter-Saal, get there through the main entrance and straight ahead upstairs to the 3rd floor. I’ll be there since Friday 5th night until Saturday 13th. 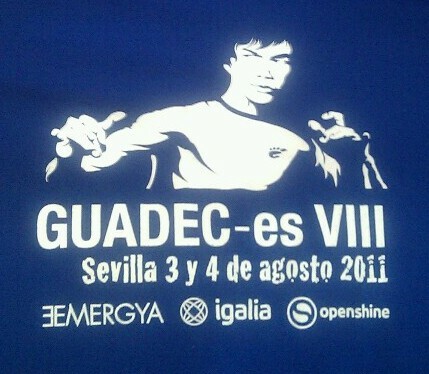 I’m stoping at Sevilla for VIII GUADEC-ES, the Kung Fu Edition. I’m leaving in a few hours, so see you there! Martin finished a task! YEAH! from diegoe on Vimeo. It was quite cold today, but we managed to heat up the room by building WebKitGTK+ in all our machines at the same time, awesome functionality of the build. The Viewport metatag support is now integrated into WebKitGTK+ master. New font preferences are now in Epiphany master, minimum font size should be fixed too, a lot of introspection warnings are gone and I’m working on custom error pages. Xan finished his API for about:plugins, he’s now waiting for Dan to finish his part of the dance. Sergio (who asked why he’s not in the summaries; to whom I asked were was he when I was asking what everyone did) keeps working on cache fixes, there’s a tricky bug with limiting its size. Mario keeps hitting his head with accessibility work. Gustavo has started refactoring some private stuff and started work to get the web inspector to attach properly. Alex has been basically unbreaking everything that the others are breaking in their commit frenzy. Plus he’s fixing spell checking, yey! Alex and Gustavo gave love to the buildbots, the buildbots hugged back. Gustavo can’t play Street Fighter because zsnes doesn’t work on 64bits. Philippe kicked more media tests into the “passes” bin, this means more stuff is working as expected. YES. 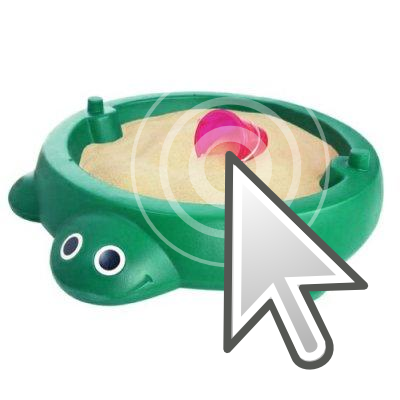 Dan worked on integrating the WebKitGTK+ cache into libsoup, so other applications can benefit from it.